Shawn Edwin Fincher, 50, of Linn, passed away peacefully on Friday, November 23, 2018, at University of Missouri Hospital and Clinics in Columbia, surrounded by his loving family and friends. Shawn was born on February 15, 1968, in Jefferson City, a son to the late Donald Ray and Shirley A. (Duncan) Fincher. Shawn attended Linn R-2 School District and he was employed at J.D. Exteriors in Linn. 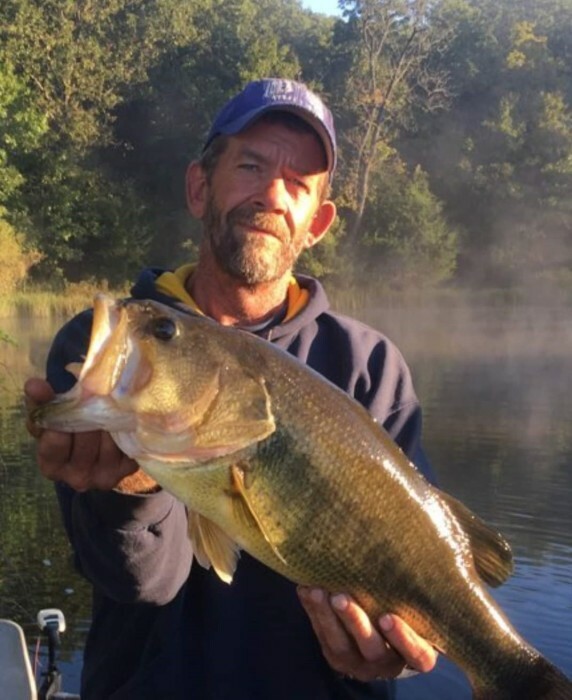 Shawn enjoyed fishing, hunting, arrowhead hunting, watching NASCAR and spending time with his family and friends. Shawn is survived by: five children, Elisha (Zach) Rogers of Linn, Nathan Fincher of Linn, Khristian, Hunter and Harper Williamson all of Jefferson City; two grandchildren, Maycee and Jace Rogers of Linn; two brothers, Kevin (Lisa) Fincher of Linn and Duane Fincher of Hannibal along with many aunts, uncles, cousins and friends. In addition to his parents, Shawn was preceded in death by: a brother, Scott Fincher and his loyal friend, Petey. Visitation will be held from 2:00 p.m. to 4:00 p.m. on Saturday, December 1, 2018, at Morton Chapel in Linn with a Memorial Service to follow at 4:00 p.m. In lieu of flowers, expressions of sympathy may be made to the Family of Shawn Fincher.